On October 27, 2010, Judith L. Pasewark, Administrative Law Judge (ALJ) from the Office of Administrative Hearings, Special Education Division (OAH) presided at the due process hearing in this case. At the hearing, Jack H. Anthony, Esq., represented Student (Student). Student, age 19, did not attend the hearing. Student’s mother (Mother), who holds Student’s educational rights, attended the hearing on behalf of Student. S. Daniel Harbottle, Esq., represented Newport-Mesa Unified School District (District). Heidi McDowell, a program specialist for the District, attended the hearing on behalf of the District. Student filed his Request for Due Process Hearing (complaint) on June 21, 2010. On August 3, 2010, pursuant to a stipulated request for continuance, OAH continued the initial hearing date to September 2, 2010. Subsequently, on August 23, 2010, again pursuant to stipulation of the parties, OAH continued the hearing to October 27, 2010. The hearing commenced on October 27, 2010, and the parties completed all testimony in one day. The parties agreed to submit written closing briefs of no more than 25 pages, by close of business on November 15, 2010. Upon receipt of the closing briefs, the matter was submitted and the record closed on November 16, 2010. The sole issue presented in this matter is whether the District’s stated intention to issue a regular graduation diploma (diploma) instead of a certificate of completion (certificate) to Student constitutes a denial of a free appropriate public education (FAPE). While a student with a disability is not guaranteed a diploma and states can set their own criteria for the issuance of diplomas, diplomas must generally be awarded on an equal basis to all students, nondisabled and disabled alike. Students who meet the established state standards for a diploma cannot be denied a diploma on the basis of disability. This ALJ finds that Student has not been denied a FAPE. Further, Student has met the criteria set by the state for issuance of a diploma. 1. Relatively few facts are disputed between the parties. Student is 19 years old. When he reached age 18, he executed an assignment of decision-making authority to his mother. Student currently resides within the District with his mother and other family members. Student qualified for special education and related services throughout high school under a primary disability classification of traumatic brain injury (TBI) and a secondary disability classification of autistic-like behaviors. Student’s treating psychologist also reports that Student suffers from Post-Traumatic Stress Disorder. As a result, Student’s emotional condition is unstable, and he has episodes of violence every few months. 2. The District completed Student’s last triennial Individualized Education Plan (IEP) in June 2008. The 2008 IEP provided Student with 10 hours per week of home/hospital instruction for the 2008-2009 school year. The IEP also contained a provision for Student to take the California High School Exit Examination (CAHSEE) 1 with accommodations. Student consented to the June 2008 IEP. 3. Student’s next annual IEP, completed in May 2009, provided similar provisions for the 2009-2010 school year, including home/hospital instruction and a provision for taking the CAHSEE with accommodations. Student consented to the May 2009 IEP. 4. At the time both the 2008 and 2009 IEPs were developed, California Education Code, section, 60851, required that every student pass the CAHSEE in order to graduate from high school and receive a diploma. Given Student’s IQ and disabilities, passage of the CAHSEE appeared unlikely for Student. As a result, both of these IEPs also contained a provision in Student’s Individualized Transition Plan (ITP), which proposed that Student ultimately receive a certificate of completion and not a regular graduation diploma. Student consented to the certificate provisions of the 2008 and 2009 ITPs. 1 The California High School Exit Examination or CAHSEE, is a high school exit examination in English language arts and mathematics developed in accordance with the statewide content standards adopted by the State Board of Education. 5. On January 27, 2010, the IEP team convened an addendum IEP meeting to change Student from an ITP directed towards a certificate to an ITP granting a diploma. 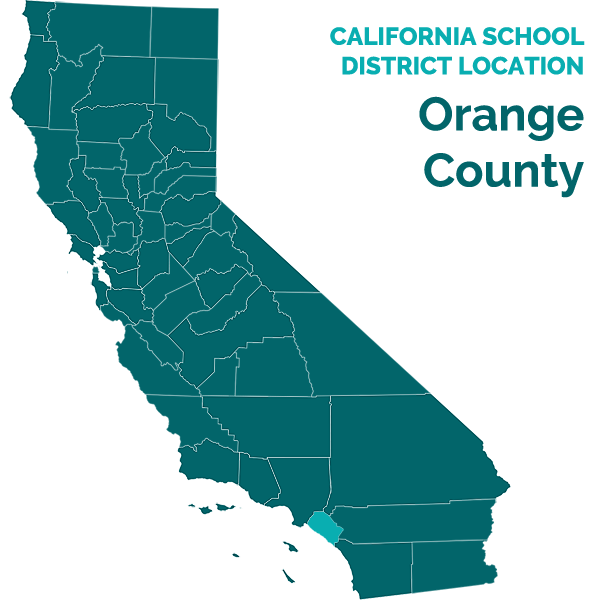 The District based its proposed change on its belief that a change in the law, effective in 2010, exempted Student from taking the CAHSEE, and thereby required the District to provide Student with a diploma, if he met all other graduation requirements. 6. The addendum notes to the IEP, dated January 27, 2010, clearly indicate that the purpose of the meeting was to review Student’s home/hospital services and graduation requirements. The IEP team informed Mother and her attorney that Student was now on the graduation track. The IEP team discussed the diploma and how Student had met the graduation requirements, which changed as of 2010. The special education teacher discussed the graduation events and inquired if Student would participate. The IEP team talked about the required senior project and how it could be modified for Student. Although Mother stated that Student would like to be part of the graduation, she did not agree to the change from certificate to diploma. The January 2010 IEP notes also indicate that Mother waived reading of Parental Procedural Safeguards, and received the District’s graduation requirements packet. 7. The addendum to the IEP also noted that, as Student was nearing completion of the required course credits for graduation, his home/hospital program would be terminated as of June 24, 2010. Further, given the District’s intent to graduate Student, additional educational placement and services would not be required for the 2010 Extended School Year. 8. According to Nicole Fusaro, Student’s special education case manager, the District notified Student/Parent of the dates for administration of the CAHSEE, both by letter and email. Student, however, did not appear for the examination. Mother acknowledged receiving the letter from the District regarding state testing. She believed Student would take the CAHSEE with accommodations and she did not agree to waive the CAHSEE. She added, however, that Student did not take the CAHSEE, as she was not specifically notified to make Student available for testing on any specific date. 2 Mental health services provided to special education-eligible students under the IDEA are frequently referred to by the Assembly bills that created the law that governs the interagency responsibilities for the provision of such mental health services (AB3632 and AB2726). 10. On May 11, 2010, the District held Student’s requisite annual IEP. As the January 2010 addendum indicated that Student would graduate with a diploma in June 2010, the IEP team made no prospective offers of placement or services for the 2010-2011 school year. The May 2010 IEP reiterated that Student qualified to graduate from high school and would be issued a diploma in June 2010. Therefore, all educational services provided to Student would terminate on June 24, 2010. A representative of the Regional Center of Orange County attended both 2010 IEP meetings. At the May 2010 IEP meeting, the IEP team discussed the ramifications of graduation with a diploma versus a certificate. The Regional Center representative discussed alternate Regional Center services and day programs which might be available to Student post-graduation. Again, Mother did not agree with the graduation plan. Mother testified that she did not agree to the graduation plan because she wanted Student to receive special education services until age 22. She stressed that Student needed additional educational services. His academics were on an elementary school level. He was not ready to work, and had no other services available. Mother also demonstrated a palatable fear of Student’s increasing physical violence. She believed Student needed a residential treatment center (RTC), a financial impossibility to her without special education services. 11. The District did not provide Student with a specific letter of prior written notice regarding its intent to graduate and issue Student a diploma following either the January 2010 or May 2010 IEPs. 4 Student’s attorney, however, in a letter dated May 18, 2010, wrote that Mother did not consent to the graduation plan, and requested that the District confirm that Student would be issued a certificate, not a diploma. Further, Mother testified that she was aware that the purpose of the May 2010 IEP meeting was to further discuss Student’s graduation plan; she had received a Notice of Intent to Graduate Student from the District; and she understood the District’s proposal, but disagreed with it. 12. Student called Lisa Morlan to testify on his behalf. Ms. Morlan has provided home/hospital teaching services to Student since 2005. Ms. Morlan, who works for Found Abilities, a non-public agency, is a credentialed teacher with a master’s degree in both special education and educational psychology. Mother thinks highly of Ms. Morlan, and Student responds well to her, to the extent that Student’s attorney intervened in August 2009, to prevent Ms. Morlan from being replaced as Student’s teacher. 3 The District, however, did not inform Student of the rejection until this hearing, on October 27, 2010. 4 34 C.F.R. 300.503 requires that a school district provide the parent of a child with a disability written notice within a reasonable period of time in the event it proposes to initiate or change the educational placement or the provisions of FAPE to a child. 13. Ms. Morlan described her teaching duties, which included instructing Student on academic programs in conjunction with his IEP. She instructed Student in the curriculum provided by the District pursuant to state standards. Ms. Morlan indicated that as of May 2010, Student’s present levels of performance varied. She observed that Student’s work levels were generally higher than his standardized test scores reported. Student’s reading materials were simplified, and Student comfortably read and comprehended at a 5th-6th grade level. Due to his memory and sequencing deficits, Student’s writing skills were generally on a 3rd-4th grade level; however, he exhibited higher skills on subjects he liked. Student is a visual learner and works well on a computer. Student loves math. Although Student tested at a 5th-6th grade level in math, Ms. Morlan has introduced math concepts on a 10th-11th grade level to Student, and he can successfully work through them. 14. As Student’s teacher, Ms. Morlan assigned all of Student’s grades. She confirmed that the District’s record of Student’s grades were accurate, but stressed that Student’s programs had been modified, and did not reflect academic competence at a 12th grade level. 15. Having attended Student’s IEP meetings in 2008 and 2009, Ms. Morlan indicated that she understood that the IEP team’s recommendation to issue Student a certificate was tied to the belief that Student could not pass the CAHSEE. Ms. Morlan concurred, and does not believe Student could pass the CAHSEE due to his memory, motivation, and attention deficits. 16. Ms. Morlan attended both IEP meetings in 2010. At the January 2010 IEP meeting, she did not raise objections to the District’s plan to graduate Student in June. She recalled wanting to explore vocational schools and colleges for Student, specifically, a transition program entitled STEP. She further reported that Student could not attend college by himself, and he would need an aide and modified text. 17. Ms. Morlan presented a written report to the District, dated May 6, 2010, which recapped Student’s progress over the 2009-2010 school year. The report indicates that Student met 11 of his 13 goals for the year, and had met 72% to 77% of the other two goals. Student’s grades were generally in the B range, with two C’s. Ms. Morlan did not prepare or collaborate on any goals for the 2010-2011 school year for presentation at Student’s annual IEP in May 2010. Again, Ms. Morlan did not object to the plan to allow Student to graduate with a diploma. This silence, however, may not have been an accurate sign of acquiescence to Student’s graduation. Ms. Morlan felt the IEP team needed to specifically ask her questions. She did not volunteer any information, so no contradictory academic information was presented to the IEP team. Nonetheless, Ms. Morlan clearly stated at hearing, that in spite of Student’s demonstrated behaviors and disabilities, he was still able to complete his work, and he earned each of his grades. 18. Philip Onkley also testified on Student’s behalf. Dr. Onkley is a psychologist licensed to practice in California. He has been Student’s treating psychologist since 2008, and is currently working with Student on mood control, life skills, and family issues. Dr. Onkley reported that Student experienced a violent episode in April 2010, in which he physically assaulted his mother and two other persons. This event resulted in Student’s voluntary hospitalization in the psych ward at the University of California-Irvine Medical Center (UCI). 19. Dr. Onkley prepared a written psychological evaluation, dated October 19, 2010. The purpose of the evaluation was to provide a current update of Student’s academic and intellectual achievement levels. Given that the assessments were administered to Student five months after the May 2010 IEP, detailed discussion of Student’s testing is not required as it is minimally relevant to the issue in this matter. Briefly, Dr. Onkley found that Student’s Full Scale IQ has remained consistently at the top of the significantly below average range/bottom of the low average range in the high 60’s low 70’s. Overall, Student’s results across measures were consistent with previous testing by the District, with the exception that many of his scores had improved one grade level since 2008. Dr. Onkley found that, for the most part, Student’s academic achievement remained at the mid-elementary grade levels. 20. At hearing, Dr. Onkley stated that his 2010 report was not intended as a comprehensive evaluation. He did not compare his results with Student’s grades; he did not contact the District or Student’s teacher to discuss Student’s level of functions; and he did not observe Student in his educational setting. In preparing his report, Dr. Onkley also made two assumptions. First, he assumed that Student’s academic functioning in October 2010, was negligibly different from his functioning in January and May 2010. Second, he assumed that Student would remain in a special education program until age 22, as do most special education students he treats. Lastly, most of his recommendations were based upon information provided by Mother. 21. It is clear that Dr. Onkley’s focus with Student is psychological and not educational. He opined that, as aftercare upon Student’s release from his psychiatric hospitalization, Student’s placement in an RTC would be safest. RTC placement would be beneficial for Student, because, due to his disabilities, he will continue to have violent behaviors. Dr. Onkley’s testimony was honest and accurate to a point; however, he exhibited little understanding of the educational aspects of the matter. Dr. Onkley has no degrees or significant training in education. As Student’s treating psychologist, Dr. Onkley is primarily concerned with where Student would be best off, and his recommendations regarding RTC were based upon his determination of what would be the healthiest environment for Student. 2. A child with a disability has the right to a free appropriate public education (FAPE) under the Individuals with Disabilities Education Act (IDEA or Act) and California law. (20 U.S.C. § 1412(a)(1)(A); Ed. Code, § 56000.) The Individuals with Disabilities Education Improvement Act of 2004 (IDEIA), effective July 1, 2005, amended and reauthorized the IDEA. The California Education Code was amended, effective October 7, 2005, in response to the IDEIA. The primary goal of the IDEA is to “ensure that all children with disabilities have available to them a free appropriate public education that emphasizes public education and related services.” (20 U.S.C. § 1400(d)(1)(A); see J.L. v. Mercer Island School District (9th Cir. 2009) 575 F.3d 1025, 1033 (Mercer Island).) This special education administrative due process proceeding is brought under the authority of the IDEA. 3. Under special education law, the parent of a disabled child has the right to present an administrative complaint with respect to any matter relating to the identification, evaluation, or educational placement of the child, or the provision of a FAPE. (20 U.S.C. § 1415(b)(6)(A); 34 C.F.R. § 300.507(a)(2006); Ed. Code, § 56501, subd. (a)(1)-(4).) Within those limited parameters, OAH has the authority to hear and decide Student’s issue of whether the District’s proposed change of placement (graduation) constitutes a denial of FAPE. 7. As provided in Section 300.102(a)(3)(i) of Title 34 of the Code of Federal Regulations, an individual with exceptional needs who graduates from high school with a regular high school diploma is no longer eligible for special education and related services (Ed. Code, § 50621.1, subd. (a).) However, if it is determined by the IEP team that special education services are required beyond a student’s 18th birthday, the district of residence is responsible for providing special education and related services to students between the ages of l8 to 22 years, inclusive. (Ed. Code, § 56041). 8. The issue of whether a student with a disability will receive a regular high school diploma or a special education certificate when he graduates from school is not addressed by the IDEA. State law and school district policy exclusively determine diploma and graduation requirements. If a student with a disability meets all state and school district requirements for award of a regular high school diploma, he cannot be denied a diploma simply because he has a disability. (Letter to Anonymous, 22 IDELR 456 (OSEP 1994). On the other hand, a school district is not required to award a diploma to a student with a disability who has not met the requirements for a regular high school diploma, even if the student has met his IEP goals. Further, the IDEA does not make achievement of a disabled student’s IEP goals a prerequisite for awarding a regular high school diploma. 9. State requirements mandating a student pass an exit examination in order to graduate with a regular high school diploma are not inconsistent with the IDEA, provided the school district permits students with disabilities to take the exam with reasonable accommodations. 13. As with all IEP meetings, the procedural safeguards of the IDEA apply, including the prior written notice requirement of Title 34 of the Code of Federal Regulations, section 300.503. The IDEA, however does not contain any specific requirements concerning information the school district must disclose to the parents in its prior notice of intent to graduate a student with a disability with a regular high school diploma. 16. California law regarding graduation requirements are currently in transition. Beginning in the 2003-2004 school year, each student completing the 12th grade was required to successfully pass the CAHSEE as a condition of receiving a diploma of graduation from high school. (Ed. Code, § 60851, subd. (a).) This requirement, however, was not without an exception available to special education students. Education Code, section 60851, subsection (c), allowed parents, upon a student’s unsuccessful completion of one or both parts of the CAHSEE, to request a waiver of passage of the exam, if certain criteria had been met. The waiver required that (1) the student was subject to an IEP pursuant to the IDEA; (2) the student had satisfactorily completed or was completing high school level coursework in high school level curriculum sufficient to have obtained the skills and knowledge otherwise needed to pass the CAHSEE; and (3) the individual score report indicated that the student received the equivalent of a passing score on the CAHSEE while using a modification that fundamentally altered what the CAHSEE measures. 18. Lastly, in order to cover the gap between 2009 and 2011, the Legislature enacted Education Code, section 60852.3, which specifies, “notwithstanding any other provision of law, commencing with the 2009-2010 school year, an eligible pupil with a disability is not required to pass the CAHSEE established pursuant to Section 60850 as a condition of receiving a diploma of graduation or as a condition of graduation from high school.” (Ed. Code, § 60852.3, subd.(a).) Section 60852, subsection (c), indicates that for the purposes of this section, an eligible student with a disability is a student with an IEP adopted pursuant to the IDEA, that indicates the student is scheduled to receive a high school diploma, and that the student has satisfied or will satisfy all other state and local requirements for the receipt of a high school diploma on or after July 1, 2009. 19. An additional section of Education Code, section 60852.3, requires students with exceptional needs to take the CAHSEE in the 10th grade for purposes of fulfilling the requirements of the federal No Child Left Behind Act of 2001 (NCLB). (Ed. Code, § 60852.3, subd. (e).) This, however, is not a requirement of the IDEA. 20. A district establishing that a student with a disability has successfully met the goals and other requirements contained in the student’s IEP, assuming the IEP provided an appropriate program, will prevail in a dispute with parents seeking to halt the graduation or obtain an extension of services. (Sammons v. Polk County Sch. Bd., 45 IDELR 29 (11th Cir. 2006). Student provides three contentions to support his claim of denial of FAPE. 21. First, Student contends that the District failed to give Mother reasonable prior written notice that Student would be graduating with a regular high school diploma, thereby denying Student a FAPE. 23. Not all procedural violations of the IDEA, however, constitute a denial of FAPE. Mere technical violations will not render an IEP invalid. (Legal Conclusion 15.) Although the District did not send Mother a formal letter of prior written notice regarding graduation (Factual Finding 11), Mother was clearly aware of the requisite information provided by prior written notice. The IEP team advised Mother of Student’s proposed graduation plan at the January 2010 IEP meeting. She attended the IEP meeting with her attorney, and waived presentation of her procedural safeguards. The IEP team explained the reasons for the change to graduation, and Mother was provided the District’s graduation packet. (Factual Findings 10 and 11.) The parties acted in a similar manner at the May 2010 IEP meeting, and Mother participated in the IEP meeting with her attorney, and understood the purpose and intent of that May 2010 IEP meeting. (Factual Finding 11.) The procedural violation of failing to provide a specific letter of prior written notice did not result in a denial of FAPE. 24. Second, Student contends that the IEP team’s decision to place Student on the graduation track was irreconcilable with its decision to make an AB3632 referral to Mental Health. This contention is unfounded. 25. The District did make the mental health referral, based upon Mother’s written request for a mental health assessment. Mother made the request based upon an incident which occurred in the home during non-school hours, and resulted in Student’s hospitalization. (Factual Findings 9, 10, and 21.) Student contends that by making the referral, the District acknowledged that Student was suspected of needing mental health services. The District did not deny that Student requires mental health services. The District did not challenge Dr. Onkley’s observation that Student may require a residential treatment center as he is going to continue to have violent outbursts. (Factual Finding 21.) In fact, there is no disagreement that Student’s mental health disabilities will follow him throughout his life. This, however, does not obligate the District to continue an education program for Student when he has completed the required course of study necessary to obtain a diploma or to continue Student’s education program until the age of 22. 26. Third, Student contends that Student did not qualify for an exemption from taking the CAHSEE under Education Code section 60851, subsection (a), thereby resulting in a denial of FAPE. 28. The State’s mandate regarding the CAHSEE is currently in transition. (Legal Conclusions 16, 17, and 18.) Education Code section 60852.3, currently in effect, provides that commencing in the 2009-2010 school year, an eligible student with a disability is not required to pass the CAHSEE as a condition of receiving a diploma or graduating from high school. (Legal Conclusion 16.) Although the District notified Mother of the dates for administration of the CAHSEE, Student was not made available to take the exam. (Factual Finding 8.) Further, although his IEP provided for accommodations, his teacher believed it unlikely Student would successfully complete the CAHSEE. (Factual Findings 2, 3, and 15.) In any event, Student is not required to pass the CAHSEE in order to graduate with a diploma. 31. While a District may not graduate a student in order to avoid an ongoing duty to provide an eligible student with special education and services, neither can a parent withhold consent to an IEP merely to maximize or extend special education services beyond the point where the student has completed the prescribed course of study offered by public education. In this matter, Student has completed all educational requirements and necessary credits for graduation. (Factual Findings 6 and 7.) Student had been instructed in the District’s approved curriculum which was compliant with State standards. (Factual Finding 13.) He completed the requisite number of credits for graduation, and his teacher confirmed that he earned each of his grades. (Factual Finding 14.) Student points out that his academic levels were the equivalent of the 4th to 6th grade, a far cry from 12th grade proficiency. Neither the IDEA nor State education law requires that each graduating student exhibit academic proficiency on a 12th grade level. Instead, the State requires that a student complete the curriculum, and have sufficient passing credits in each required area of study. Further, as graduation standards are set by the State and districts, the determination of Student’s proficiency is left to the District and the IEP team. It is noted that at no time in the significant discussions of the graduation plan, did anyone on the IEP team, including Student’s teacher, indicate that Student’s proficiency levels were inaccurate or too low for graduation. Mother simply argued that Student needed more. 32. As previously emphasized, the IDEA does not require a school district to provide a student with disabilities with an ideal or optimal education. Nor does the IDEA require an educational agency to design an IEP according to the desires of the parent. (Anderson v. District of Columbia (D.D.C. 2009) 606 F.Supp.2d 86, 93.) Instead, the IDEA requires that the educational agency develop a program which provides the disabled child with a basic floor of opportunity and which is reasonably calculated to provide educational benefit. (Mercer Island, supra, 575 F.3d at pp. 1037-1038.) Here, the evidence established that, except for taking the CAHSEE, Student has met all state and district requirement for graduation with a regular high school diploma. 1. Student’s requested relief is denied. The District did not fail to provide Student a FAPE by providing Student with a regular high school graduation diploma. 1. The District prevailed on the sole issue of this case.